If you are thinking about installing a new Fayetteville irrigation system or you already have one, there are some things you should know. 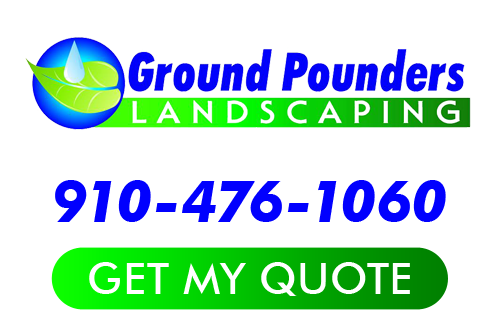 Ground Pounders Landscaping, Inc. has been servicing existing irrigation systems and installing new since 2007 here in the Fayetteville area. Our skilled landscapers have seen a lot over the years so we have some great advice for you. Here are 7 tips you should know when it comes to irrigation systems. 1. Irrigation Design Is Vital – Not only does the irrigation design play a vital role in how well your sprinkler system works, it’s also important for the health and wellbeing of your lawn, trees, and foliage.Your Fayetteville landscaper needs to design the irrigation system properly. It’s not just about laying out the pipes right, but knowing which plants need more water and which less.Otherwise, you’ll find your landscape getting too drenched as all that water is wasted in the wrong areas. And you’ll watch and wonder as the flowers or shrubs slowly die off.By the way, the landscape design should group plants together that require similar types of nutrition and similar amounts of moisture so irrigation can be more effective. 2. Proper Irrigation Installation Is Key – When you find out later that your sprinkler system shoots out too much water in one area to where everything runs down the road, you’ll know the installation wasn’t done right.There can be numerous problems with bad installation including wasting water resources, hiking up your water bill, or sprinkler heads and pipes that leak due to quality or poorly installed connections.If your Fayetteville irrigation system wasn’t designed or installed properly, your best bet is to get it fixed. 3. Watch For Soppy Ground Where Irrigation Is Installed – Since the irrigation system runs underground, you may not know if there is a leak going on until you get a phenomenally high water bill.The best sign that you have an underground leak is a sopping wet area on your lawn or in flower beds. Also, watch for signs inside and outside near the foundation. A wet foundation that should be dry means there’s a leak going on somewhere. It could be your irrigation system because they tie into the main freshwater plumbing. 4. For Repairs or Installation of New Irrigation Systems, choose an experienced landscaper – You don’t want to risk bad installation or repairs that only cause problems later with someone who isn’t experienced.Yes, you could save now if a friend or family member does it for you, but you will likely pay later. 5. Choose An Irrigation Professional Who Is Bonded & Insured – If something goes wrong with irrigation repairs or installation, you want someone who backs their work and products. Licensed and insured landscapers who operate an honest business will see to it that problems are handled to your benefit. 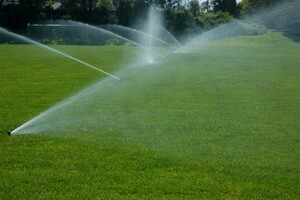 Choose a Fayetteville irrigation & landscaping company who has been around for a while and you’ll be much better off.